New copy isn't better just because it's new. You can't just give your copy a "refresh" or aimlessly fiddle with headlines to get a huge boost in conversions. These kinds of false hopes (and complete lack of a process) are why so many conversion copywriting projects fail, and so many new sites perform worse than the old ones. If you want to make sure your new copy hits a conversion home run, keep reading. Last October, I had the opportunity to collaborate with the team at HubSpot to rewrite their copy as part of their site's redesign. It was a conversion copywriter's dream come true! In this post, I'll share the exact process we used to fine-tune the messaging and nearly double the site's conversion rate. We grilled HubSpot's product development, sales, and support staff to get their inside perspective. The product team gave us a better perspective on the evolution of the HubSpot software into the Growth Stack, so we could write about the product as it is now instead of how it was in the past. 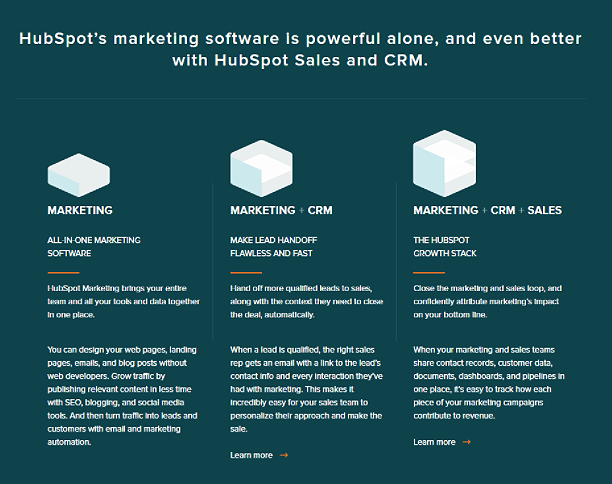 The HubSpot Growth Stack consists of HubSpot's marketing, sales, and CRM software. The sales team illuminated the questions, objections and pain points most frequently mentioned by leads on calls. They also shared their most successful ways of overcoming objections and answering questions -- things we could mimic with the site's copy. We learned that HubSpot customers didn't understand HubSpot had evolved into the Growth Stack: multiple tools that accomplish different goals individually, but are even more powerful used together. Making this clear became a huge priority for the new copy. HubSpot's internal team consulted their analytics data and user journey maps and confirmed that clarity was an issue. Conversion flows were tangled as leads struggled to understand what they were signing up for. We needed to simplify the path from interest to action. As HubSpot grew rapidly, the copy on their website was written by multiple people with multiple perspectives. This caused style guide inconsistencies, a lack of unified positioning and an inconsistent voice across the site. This was our chance to bring consistency to HubSpot's messaging and showcase their solutions in words that clicked with their customers. Now, we just needed to find out what those words were. Instead of guessing at these things, why not just steal the words right out of their mouths? Customer research is all about capturing your customer's challenges, fears and desires in their own words so that you can use those same words in your headlines, body copy, and calls-to-action. And when you know your customers' priorities, you know exactly what features and benefits to emphasize, too. Let's dig into how you can start stealing like the pros. Depending on what you want to learn, some segments of your audience will be more informative than others. Active (3 - 6 months or longer) This group purchased recently enough to describe their pain points and priorities, as well as some benefits they'd realized. Leads Leads are deeply in tune with their pain points and anxieties -- perfect for learning frustrations with the existing website and the obstacles they're facing. Dead Accounts This customer group can help us understand what went wrong and how we could mitigate those problems. We also segmented these groups across HubSpot's different products to make sure we were talking to people who actually used each tool. There's a temptation to jump right into talking to your customers -- but first, you need a plan for pulling all the feedback together and keeping it organized. Josh and I developed a spreadsheet that saved us hours of headaches and dramatically sped up analysis. You can download a copy for yourself here. Memorable Quote Type Theme Feature Notes Where & Who? Copy and paste standout customer quotes into the first column. Categorize the quote by pain point, benefit, anxiety or priority. If the quote applies to more than one, choose the most appropriate and list the others in the "Notes" section. As themes emerge, add them in the third column. Don't worry about filling this column on a first pass -- themes usually surface during review. If the quote pertains to a specific feature, add it to the "Feature" column. This will make it easier to sort later on, giving you a cheat sheet for every feature. Use "Notes" for your own reference. Remind yourself why you like the quote or how you might use it. If it's a quote you might think about stealing copy from, tag it as "Sticky". List who said it and where. This will make sure you can go back to the source. To get fast customer feedback at scale, so we turned to two channels: email surveys and review/testimonial mining. Email surveys can reach a huge number of customers in a short time period -- but to get actionable feedback, you need to ask the right questions. Your respondents have limited time and energy, so you need to keep your survey focused. That means defining what you need to learn and crafting your questions around that goal. We asked respondents to describe their role (helping us segment) and how they used HubSpot. Any respondent who said they didn't use HubSpot anymore was pushed to a different set of questions to help us learn why they quit. We accomplished this "on-the-fly segmenting" by using Typeform's Logic Jumps. We asked how they liked to learn about software -- whether by watching videos, reading landing pages, calling support, chatting online or reading reviews. This helped us decide if things like video or live chat should be included to support the copy. We asked respondents, "What was going on in your business when you sought out a solution like HubSpot?" This gave us a goldmine of insight into their pain points, purchase triggers and desired outcomes. We had respondents rank the criteria that were most important to them when making a purchase decision (price, ease of use, access to support, etc.). We also had them rank the features most important to them. This gave us a roadmap for which features we needed to call out early and often in the new copy, and which features weren't as important to mention. 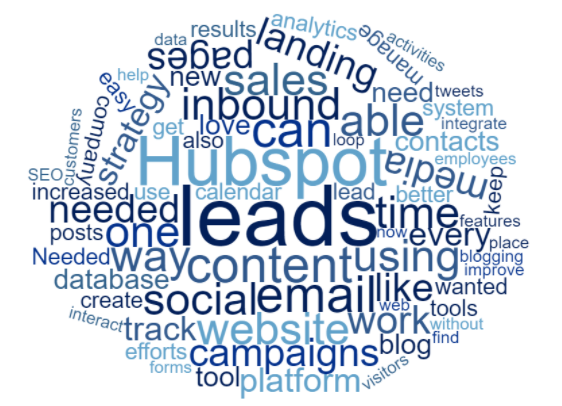 We finished up the survey by asking leads what they'd been able to achieve using HubSpot. This gave us insight into the outcomes people wanted, the wins they'd achieved, and what made them happiest about using HubSpot. You can learn a ton about your customers by reading reviews, testimonials, and case studies. As the email survey was collecting responses, Josh and I pored over 100 reviews on TrustRadius, G2 Crowd, Capterra and more. We also analyzed reviews for competitors, looking for the most common objections or frustrations so we could position the HubSpot Growth Stack as the superior solution. We cross-referenced the things we read with the primary data we collected to make sure we weren't just hearing from the vocal minority. Below are just a few examples of the responses we got to one of our surveys. 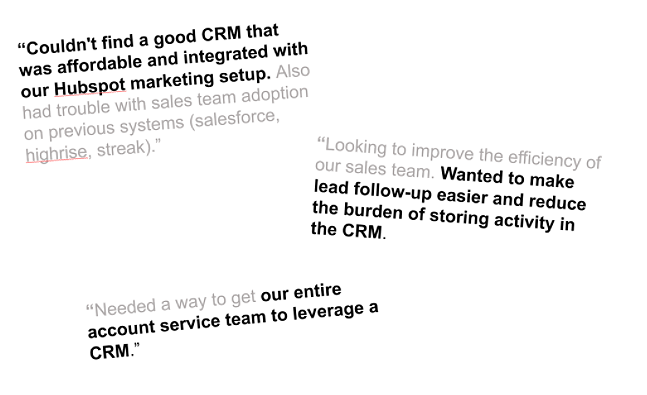 In these examples (and dozens of others), a theme emerged: a need for a CRM the customer's sales team would actually use. This type of analysis helps you pinpoint what is motivating your audience to action. Now, you know exactly what pains to agitate and benefits to emphasize on your new pages. Better yet, you can borrow the ways your customers explained them so that the copy is immediately relatable. Just like the recurring themes, you can pull these terms and phrases into your copy to make it stick. You don't want your message to be drowned out in a sea of sameness. Because your customers aren't under pressure to try and craft the "perfect line," they're great at finding compelling ways to talk about their pain points and benefits. I have time for double the work now. I can create blogs in a few hours, manage my calendar, analyze my data, and still have time to break for lunch. We played with this quote a little, tied it to a need we saw coming up over and over (growth) and used it to inspire our homepage copy. Josh and I created a cheat sheet like the one below for each different product. It tied together our customers' highest-priority pain points, the benefits of solving them, and the sticky pieces of copy we'd found. Everything we needed to write a page was right in front of us. Hold on -- isn't wireframing the designer's job? Absolutely! … sort of. Copywriters need to understand how the compelling copy they write will translate to the web to avoid creating intimidating walls of text. Designers need to know how to arrange the visual elements of the page to make consuming the copy an effortless and engaging experience. As for who should take the lead, there's no debate: copy should dictate design -- cramming copy into a pre-defined design makes it difficult to tell the best possible story. With 36 feature pages, three core product pages, and a brand new homepage to create on a rapidly approaching deadline, we needed to find efficiencies to get this project done on time. To speed up the process, the copy and design teams worked in tandem to build copy-driven, conversion-focused templates for similar page types. After discussing everything we'd learned about our customers, the copy and design team had a reasonable idea of what information we'd need to share to drive a conversion. We knew that every feature page would need a hero section, a space to discuss the top two or three benefits, a spot to share integrations, and a call-to-action. Drawing on these early conversations and some high-converting templates that had been tested in the past, the design team mocked up a new wireframe for us to work from. We used this as our foundation. Finally, it was time to pull all that sticky copy into the new wireframes we'd created and use customer priorities to guide what we talked about and when. To illustrate how we used our customer research, I'll outline three examples of changes we made to HubSpot's copy and page structure. 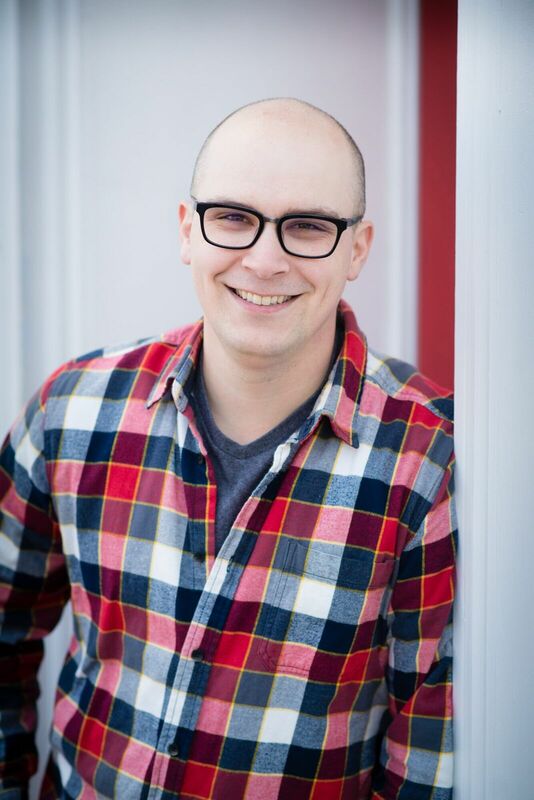 Customers had no idea HubSpot had evolved into the Growth Stack -- three different pieces of software that worked both separately and together. Leads didn't understand which tools they needed to solve their problem or what they were signing up for. Between copy and design, we solved this problem in a few different ways. 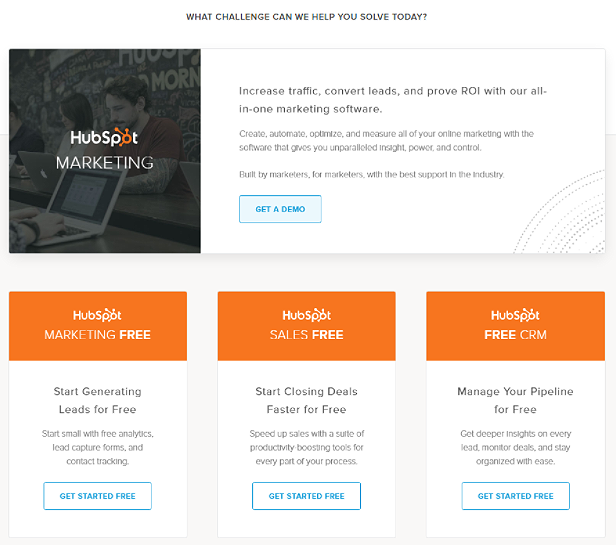 HubSpot's homepage prior to the update. 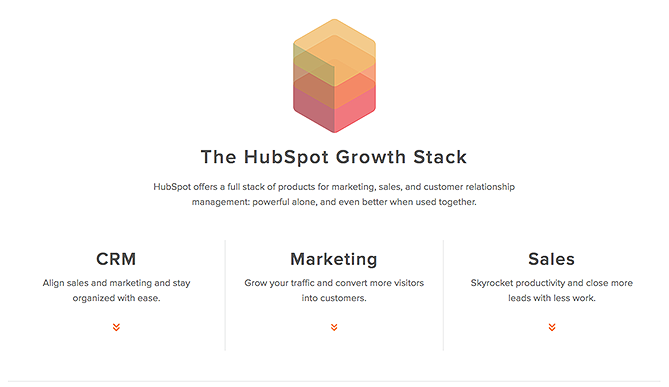 For the new homepage, we introduced a confusion-busting section that explained that the HubSpot Growth Stack was "a full stack of products" customers could use alone or together. We listed each solution and shared a quick bit of copy on what a lead could accomplish with each -- then gave leads the opportunity to dig deeper on the one the were interested in. A section added to the homepage during the update. See it here. 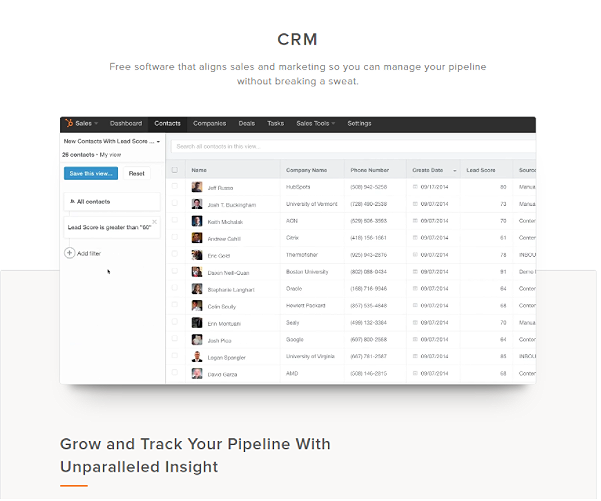 The CRM description as it appears on the updated homepage. See it here. But we didn't put all our eggs in the homepage basket. We brought that clarity into the product pages, too. The Growth Stack as explained on individual product pages. See it here. The updated "Get Started" page. See it here. Notice how HubSpot's design team complemented the copy by breaking all of the products out visually, making them separate and distinct? That's copy and design pulling in the same direction, baby! As a result, leads can see that HubSpot offers a full stack of products and are better equipped to choose the right solution. After analyzing the survey responses and reviews, we had a very clear picture of the features and benefits our leads actually cared about. We structured every page around our lead's priorities. For example, on the HubSpot Sales page, we organized the different features by how often they were mentioned in our survey results. 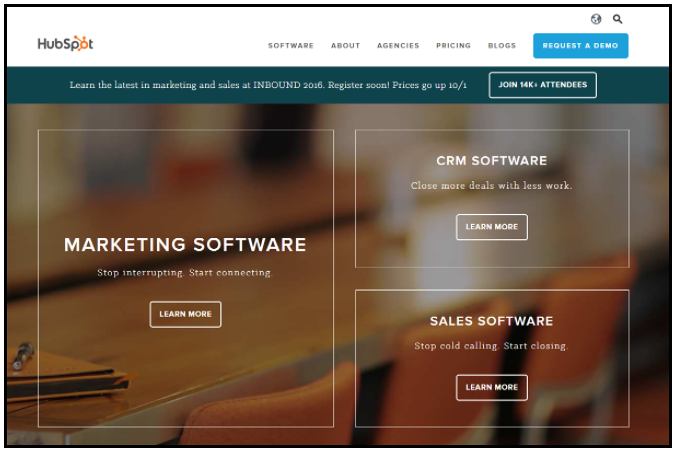 All of those subheadings -- "Uncover new leads, connect with more leads, close deals faster and manage your pipeline" -- are direct quotes from customers as to the benefits of using the feature being highlighted. Even the crosshead ("Sell more. Work less.") came from the way a customer explained what they could do thanks to HubSpot Sales! By organizing the page this way, we've made sure the most compelling features and benefits are seen. Thanks to analyzing chat logs and interviewing HubSpot's support team, we knew where there were gaps in a lead's understanding and the fears the old copy wasn't alleviating. That meant we could be proactive about addressing those with the new site. For example, one of the biggest questions people have about HubSpot Sales is whether or not it'll work with their email provider, so we added "Works with Gmail and Outlook" to the microcopy by the call-to-action. This leaves the lead no excuse not to get going right away. 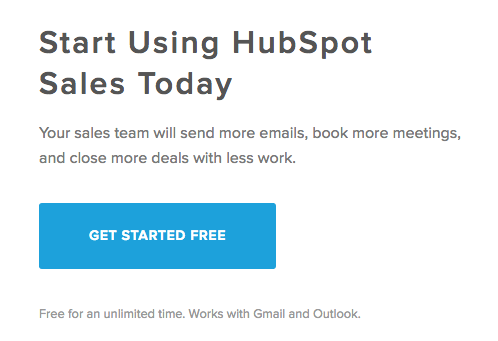 Microcopy beneath this HubSpot Sales CTA mentions specific email providers. See it here. All pages of copy were run past team members who worked directly on those products. You should do the same. Every draft was run past HubSpot's team to make sure the copy stuck to HubSpot's style guidelines and spoke with a unified voice. When writing new copy -- especially when you have multiple authors -- give one person the responsibility to enforce a consistent style guide. We didn't pass drafts around the entire company for feedback, and neither should you. That's a surefire way to kill your messaging. Dozens of competing priorities will always water down your copy. Instead, HubSpot designated a small, multidisciplinary SWAT team and agreed to limit the exposure of the drafts to those people inside of the team. This small group could stay agile and avoid writing copy by committee. When you steal your copy from your customers, great things happen. The new "Get Started" flow nearly doubled the site's overall conversion rate. There had been a 35% increase in the total volume of demo requests. There'd been a 27% increase in the total volume of product signups post-launch. Copy can't take all the credit: an improved conversion flow and dramatically different design were huge factors, too! But if there's one thing I want you to leave this piece understanding, it's that you can't write high-converting copy in a vacuum. The only way we were able to refocus HubSpot's messaging and bring clarity to their conversion funnel was by getting to know their customers. Talk to yours! After this project, HubSpot has a proven, repeatable process they can use to write copy that converts -- and now, so do you!